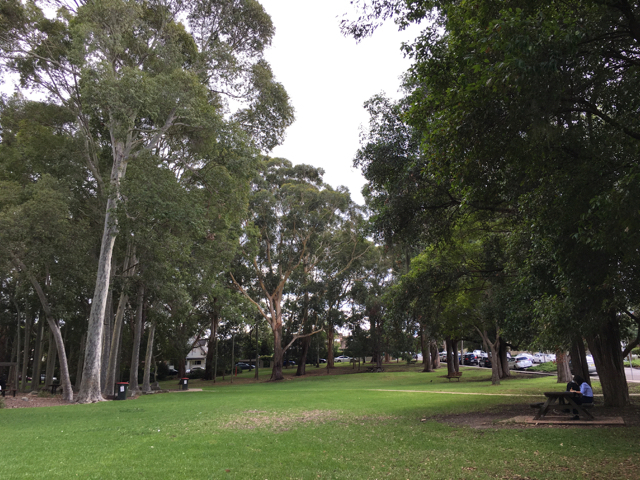 Beauchamp Park is located on Nicholson Street in Chatswood. It is a great size playground suitable for different age groups and is also used for members of the public relaxing by the benches or having work lunch or a picnic with friends. The playground is not fully fenced as it is set back from the road but be mindful of your little ones as the streets near the playground are used regularly by commuters driving to Chatswood. 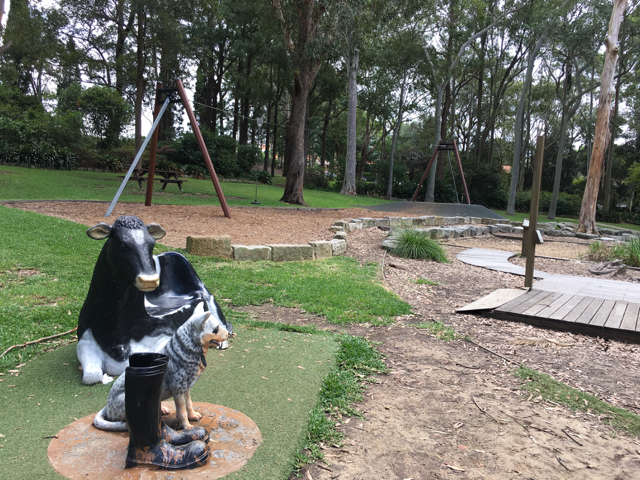 Some stone statues as well as a quirky cow and farm dog feature at the playground which will amuse the kids no doubt and make for funny pics! The playground consists of a flying fox, a range of swings, climbing structures, slide and more. Kids will like to wonder around the playground and nature and use the different types of equipment available. There is also a sandpit where kids can discover dinosaur fossils. You can also settle down for a snack or a picnic with friends and family and let the kids run around the grass and playground. There is timed free parking along the playground or you can park in nearby streets and walk to the playground from there.